ZO_loft was awarded with 2 honorable mentions at 2012 MA Prize for Wheelly and Perez house. 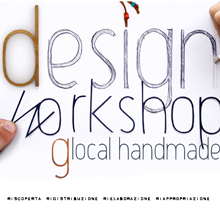 Awarded projects will be exhibited during the “Design in Human Week” 2012 event to be held from 1st to 10th June 2012 in Atlanta, Georgia. Entries were carefully selected by a prestigious international jury of practicing designers and scholars. The 2012 MA Prize calls for designers to submit projects that critically consider today’s notions of sustainability as applied to the modern dwelling. This award aims to highlight projects of all scales, that showcase a critical investigation into sustainable design practices in the home as well as projects that thoughtfully deal with the unique geographical, social, political or cultural Conditions. Please visit www.modern-atlanta.org to learn more about MA and the annual Design is Human Week event.